Beatriz Marinello teaches class. 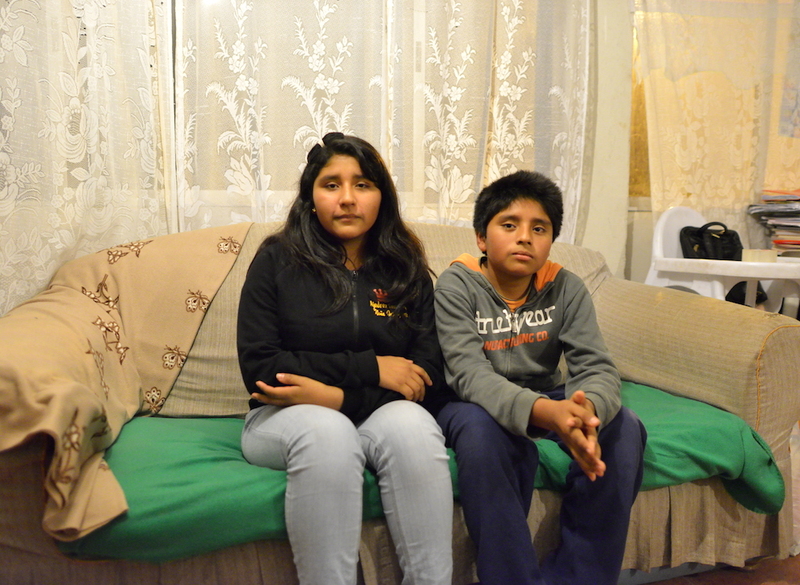 (Smart Girl Project, Antofagasta, Chile); Photo by Dora Leticia Copyright, All Rights Reserved. The General Secretary, Robert Katenda (Uganda) started the meeting by welcoming the attendees. The Chairperson, Beatriz Marinello (USA), introduced the members of the commission and requested that other meeting participants introduce themselves. We are happy to report that the commission started ‘pilot projects’ in Uganda and Chile. These projects have been documented and a documentary presentation was shared with the attendees of the Social Action Commission meeting. The documentation of these projects will be published in the Social Action Commission website as well. Beatriz Marinello also reported that Dr. Robert Friedland, on behalf of FIDE Social Action Commission, did a Panel Presentation at the World Organization for Alzheimer’s in Puerto Rico. Several doctors attended his presentation which aimed to present chess as an effective tool to fight against brain aging and Alzheimer’s. The main focus of the “Smart Girl Chess Program” pilot projects is to understand the different ways in which to implement chess projects for social enhancement and positive impact in the communities. 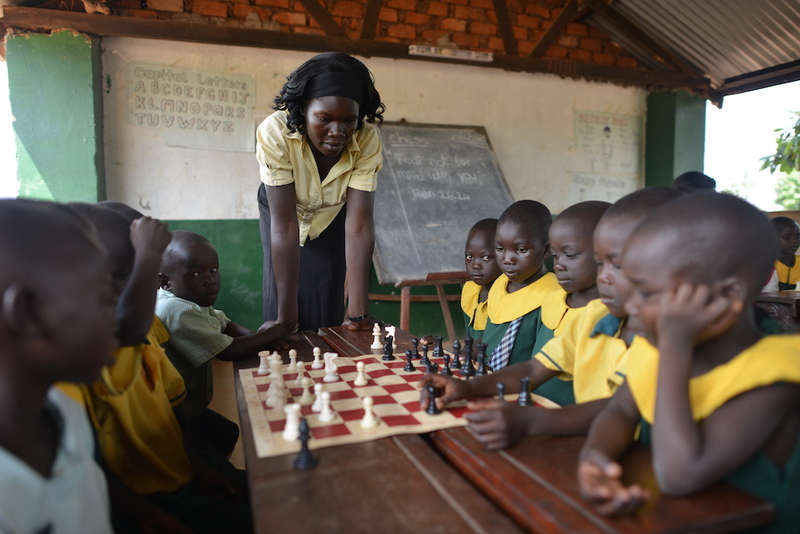 Uganda Chess Girl with Teacher (Mother); Photo by Dora Leticia Copyright. All Rights Reserved. 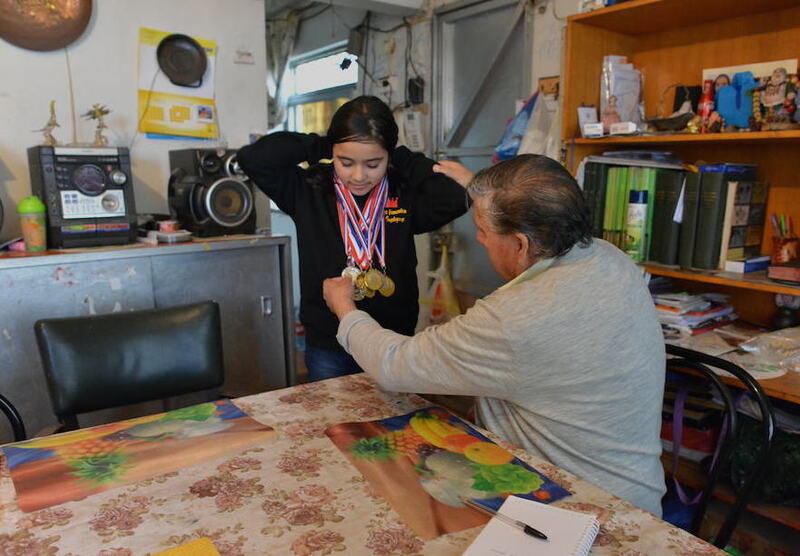 Chile Smart Girl Project Student at Home with Grandpa wears her Chess Medals by Dora Leticia Copyright. All Rights Reserved. Social Action Commission meeting attendees were interested in the Commission’s projects and commented that they were all viable objectives because they focus on the life of the players rather than the player’s chess games. 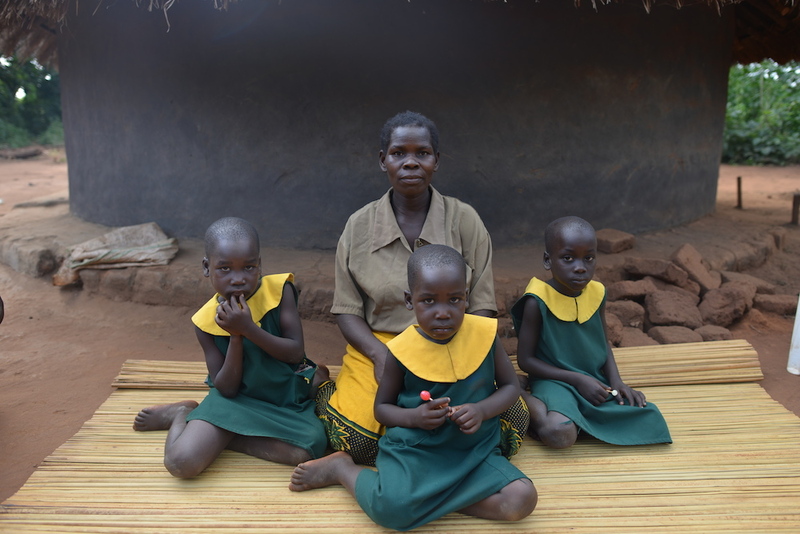 Uganda “Smart Girl” Students with Mother Photo by Dora Leticia Copyright. All Rights Reserved. Video interviews for the Social Action Commission’s field work as it relates to the Pilot Projects. Smart Girl Project (Uganda) – Documentary Short Video Clip by Documentary Photographer and filmmaker, Dora Leticia. Interview of both the president and the vice present of the Uganda Chess Federation commending the initiatives of FIDE through the Social Action Commission. Chile Smart Girl Chessplayer with Brother by Dora Leticia Copyright. All Rights Reserved. 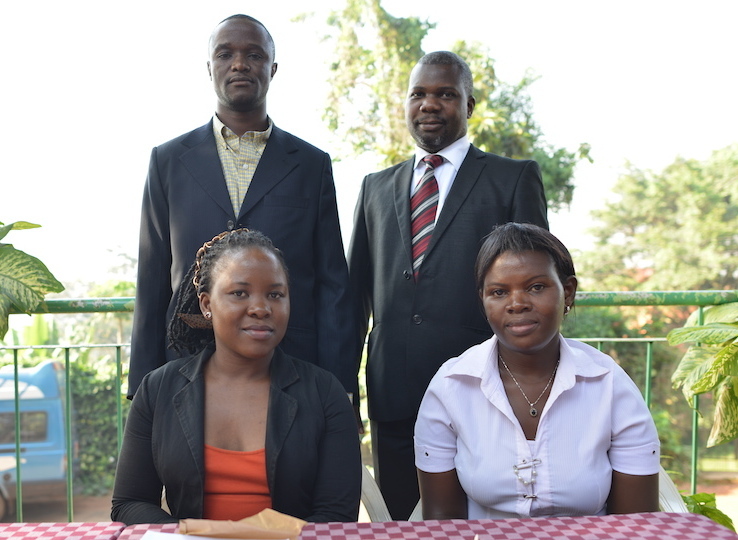 Uganda Family with 3 Girl Chessplayers in “Smart Girl” Program by Dora Leticia Copyright. All Rights Reserved. 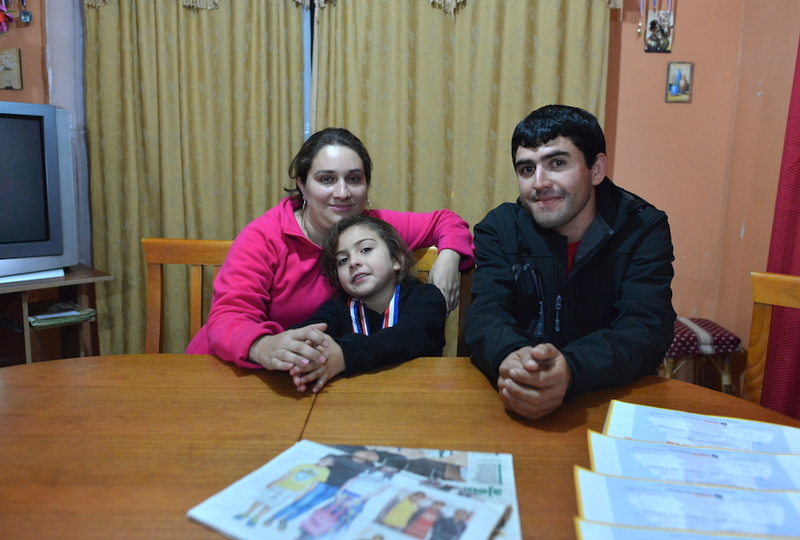 Other interviews and photographs of the children in the “Smart Girl Program” in Uganda and Chile. 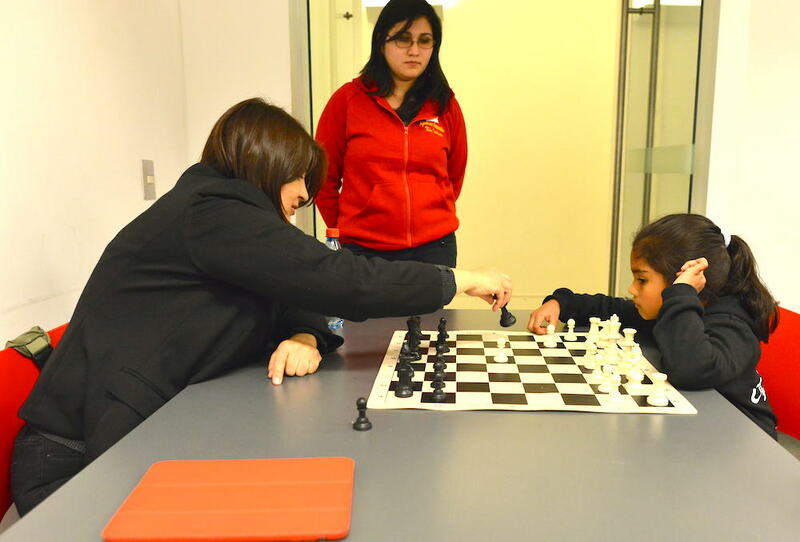 Chile Smart Girl Chessplayer with Mom and Dad; Photo by Dora Leticia Copyright. All Rights Reserved. 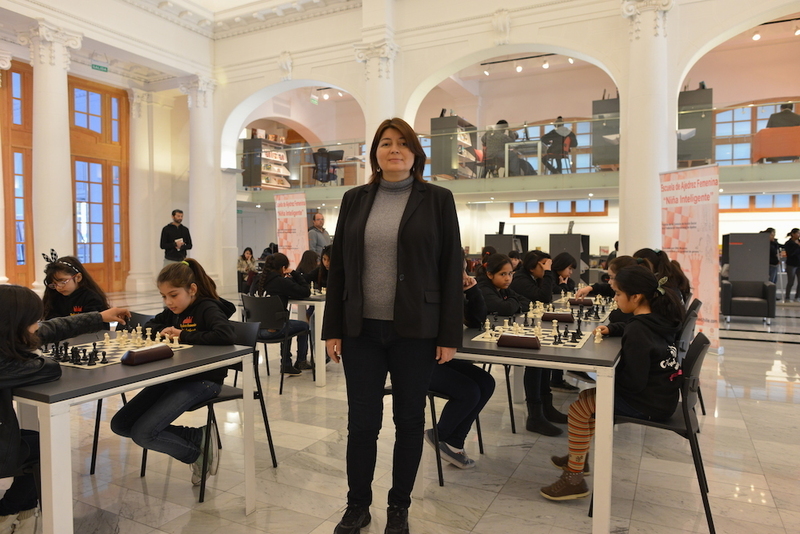 One attendee commented that it is important that FIDE is working on the social aspects of chess by partnering with organizations and supporting programs like “Smart Girl Chess Program” created by Beatriz Marinello. During the meeting it was also commented that it is very good that Social Action Commission is supporting Chess Community Centers within School locations and that this shall draw the children to value and attend school as a result. Uganda Chess Teacher and Students by Dora Leticia Copyright. All Rights Reserved. Obtaining community spaces at no cost can be challenging but rewarding. 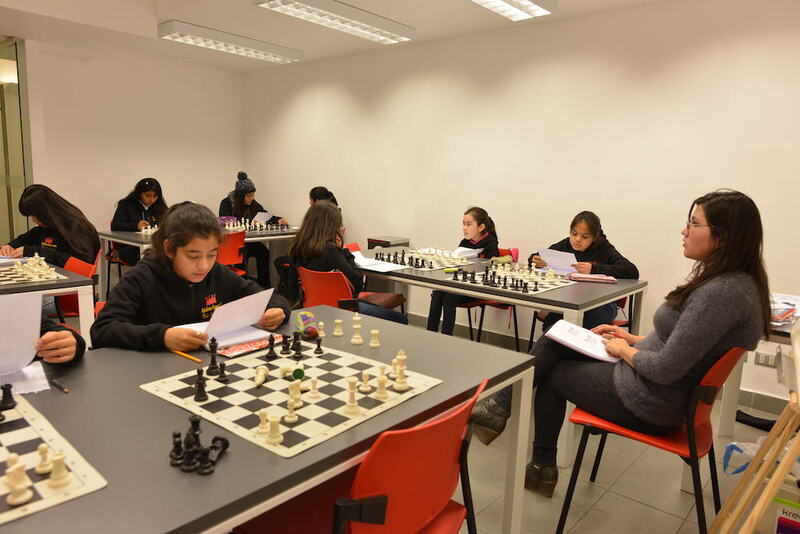 In Antofagasta, Chile space at the public library was secured at no cost so that these girls could have a space where they can learn chess, this was never provided before in this region. Through the support of the Social Action Commission, the Smart Girl project (“Nina Inteligente”) in Chile has formed alliances with community centers which greatly benefit the children. 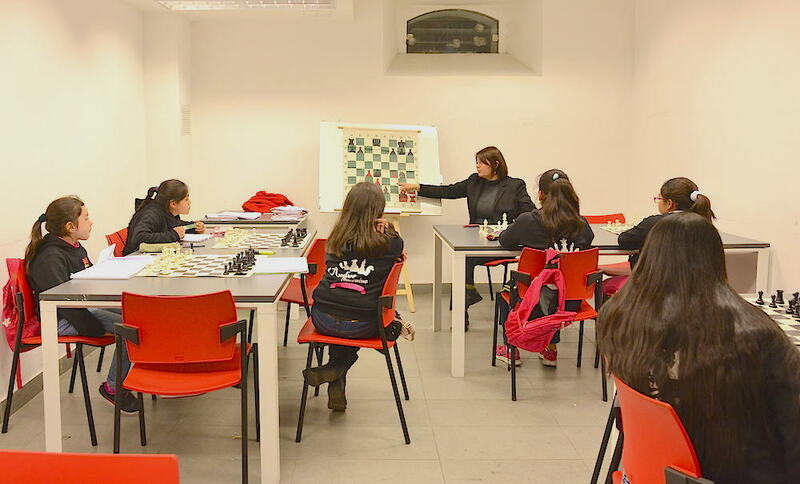 Smart Girl Project Classroom (Antofagasta, Chile) with Mariela (Chess Instructor) by Dora Leticia Copyright. All Rights Reserved. The Uganda Chess Federation was very grateful for the programs because they not only help to develop the game of chess in the country but also help reach out to the girls who are very marginalized in Ugandan society and these programs will help them to attain their full potential and become significant in the development of their societies. Uganda Chess Federation Team by Dora Leticia Copyright. All Rights Reserved. By supporting these programs, the Social Action Commission is involving families and communities; not only children, this provides holistic development and involvement. A member from Botswana Chess Federation commented that it would be good to have more chess equipment available and accessible to people, especially the girls. 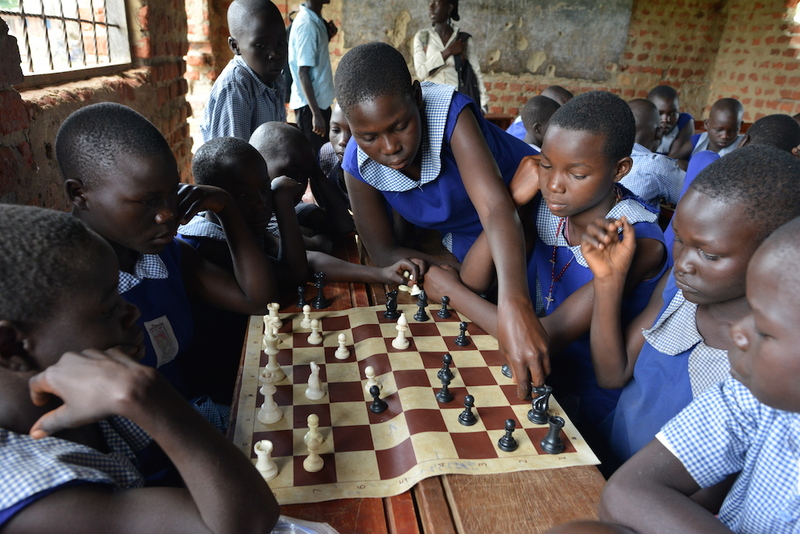 The Social Action Commission has helped by providing new chess sets and demo boards to the Smart Girl Chess Pilot Project programs, both in Chile and Uganda. This will ensure that no child will ever have to share their board again or wait a turn because of lack of boards. Uganda Children Sharing Boards by Dora Leticia Copyright. All Rights Reserved. A member from the Chinese Chess Association was very much moved and appreciated the work done by Social Action Commission. She mentioned that she would advocate for the Chinese Chess Association to do more to impact their communities socially and for purposes of community development. Uganda Chess Girl with Mother by Dora Leticia Copyright. All Rights Reserved. An attendee from the USA shared that it is important to market these chess programs so that all Federations can start to implement these social chess programs for character development and life empowerment. 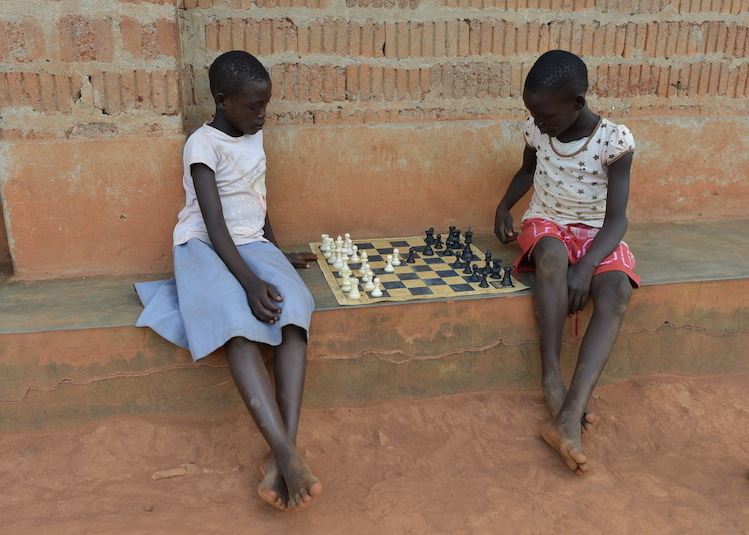 Uganda Two Girls Play Chess; Photo by Dora Leticia Copyright. All Rights Reserved. Beatriz Marinello stated that this was why the Social Action Commission was all for documenting these projects which will eventually become life examples that advocate for chess with Government Organizations and NGOS. A special thanks to the documentary photographer and filmmaker, Dora Leticia, who has documented as a volunteer because of her belief in the good work that is being carried out with this project. Grace, a player from the Ugandan chess team, also asked about the sustainability and follow-up plans for the commission. The secretary, Robert Katende, responded that, there are monthly reports from the teachers handling the community centers and there is a monthly allowance given to facilitate them in the work, this as well as several visits to the centers provide superb supervision of the programs. Uganda Girls by Dora Leticia Copyright Protected. All Rights Reserved. One member suggested that the commission should have the projects and videos uploaded to the website to help people learn about the projects the Social Action Commission supports and see how they can implement the same programs in their localities. It was assured that the Social Action Commission would share works on its website. Beatriz Marinello mentioned the importance of sending FIDE Trainers to the communities that are participating in these Social Action Commission projects to provide additional training as needed. Beatriz also mentioned the possibility of funding a Training Seminar in Uganda to help get more chess trainers that are FIDE certified. Beatriz also mentioned that the commission will also provide materials to enhance the programs started as well as develop other projects in other communities. As a final comment, the general consensus is, that this is a very impressive start for the Social Action Commission and to be actively supporting and helping organize all these projects in such a short time is commendable. The meeting was adjourned by the Chairperson Beatriz Marinello at 4:57 pm. All Photos by Dora Leticia Martinez, Copyright Protected. All Rights Reserved.